Welfare rights lawyer Maggie McGowan intended to build her law experience when she moved from Melbourne to the Northern Territory in 2013. She never expected to end up running a fashion social enterprise. But the people she met, their stories and the untapped talent inspired a remarkable career pivot. McGowan had spent time travelling across the Top End, working closely with indigenous communities to address legal needs when she arrived. “I loved being a lawyer, I could connect with Aboriginal people living remotely and be of use,” McGowan recalls. Along the way, she fell in love with the textiles that had been hand screen printed by local artists and displayed at community art centres. At the end of one difficult day, feeling that she was patching up systemic problems, McGowan felt a desire to drive real change. Her partner, Laura Egan, asked what she’d do if she wasn’t a lawyer. A vision of indigenous artists and their vibrant threads immediately came to mind. 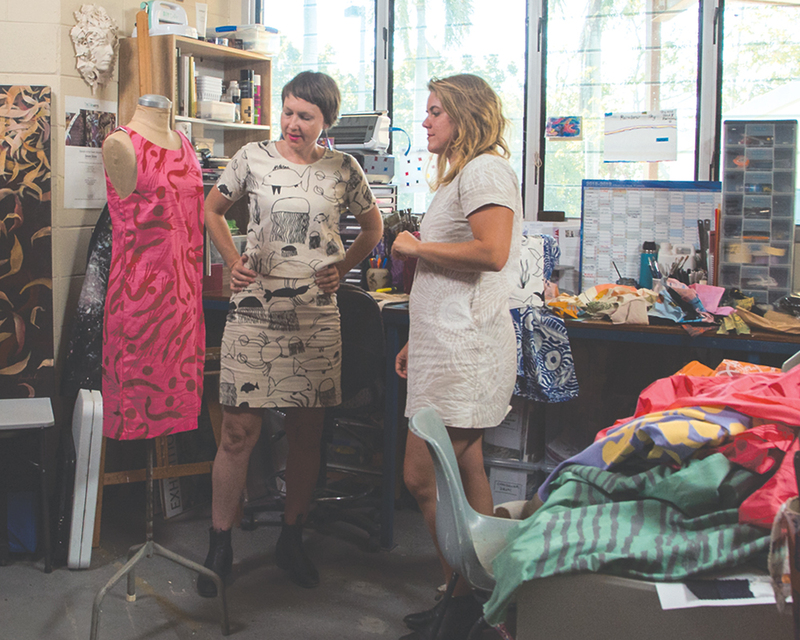 Magpie Goose, the Katherine-based fashion social enterprise, was founded soon after. The pair booked flights to Bali, bought fabrics and made prototypes. Friends and family were impressed, so they took their concept to the communities where McGowan had already forged many relationships through her legal career. There were two main goals. First: expose non-indigenous people to indigenous art and culture through fashion. Second: improve economic opportunities in remote communities. Magpie Goose textiles are purchased from remote aboriginal art centres. Artists also generate income for their work. So far, McGowan has invested in textile design and screen-printing workshops. She’s paid more than $10,000 in licencing fees to artists whose work appears on the brand’s prints. 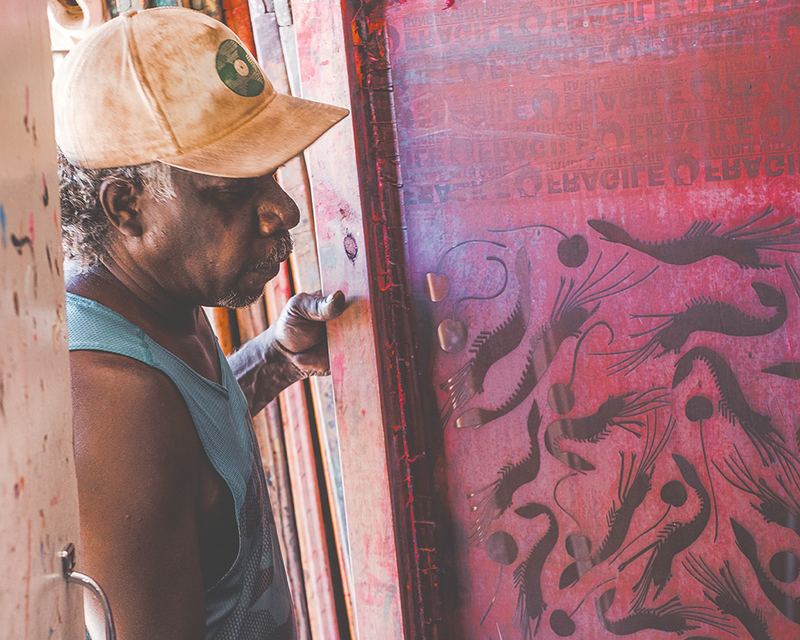 “We’ve been able to travel to remote places and bring the idea of collaboration … teach a bit of textile design and work with artists to pull the stories out that are really special to that area, that community, those people, the dreaming stories of that place,” McGowan explains. They’re bolstering local skills too. In September 2017, a screenprinter was engaged to train five Katherine-based jobseekers that went on to print hundreds of metres of fabric for Magpie Goose. A key component of their success lies in fostering trust and supporting the small art centres and artists. “They find it really fulfilling to share culture and make a bit of money from their art in a new way,” McGowan explains. Finally, the social entrepreneur is creating lasting change in a way that wasn’t possible in law. “Doing a social enterprise fashion label feels a lot more positive and creative,” she says. Building a successful brand from scratch has had its challenges, including the cost of shipping fabric to art centres to do the screen printing, the cost of shipping paint up here and flying in wet season if things are flooded, McGowan explains. Producing bespoke pieces and hand-screen printing adds to the cost, but it is essential to create garments that reflect the values of those who’ve created the fabrics. And the positives far outweigh the challenges. Magpie Goose has appeared at Perth Fashion Festival and been a hit at art fairs around the country. The brand has 17,000 Instagram followers and the online shop attracts customers nationally. So expect to see bold Magpie Goose outfits in locations well beyond the Northern Territory.